"Ronnda Cadle's music offers purity that is breath-taking. The sincerity of her expression leaves no room for anything but the essential. Though a very accomplished guitarist, there is an innocence to her music in which beauty, grace and open emotion are un-obscured by ego and unencumbered by gratuitous flourish. When you listen to Ronnda Cadle you believe her unconditionally." Will Ackerman is the founder of Windham Hill Records, which, partnered with A&M Records and RCA launched a label of instrumental music in unparalleled success and created a new genre of music in the process. Ackerman is a Grammy Award winner and the recipient of Gold and Platinum Records in the US and overseas. Ackerman's label and production were responsible for establishing the careers of such ground-breaking artists as George Winston, Michael Hedges, Shadowfax and Liz Story among many others. It's FINALLY here!!! 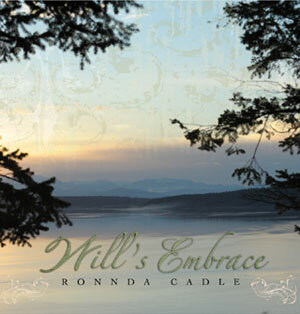 Ronnda's NEW CD titled "Will's Embrace"
Released on — February 14th, 2012 !!!! A three year process funded by performances, touring, fans, friends, investors, and supporters!! Thank you for your trust, belief and PATIENCE!!! Please know how much I appreciate your support, without you none of this would be possible! !